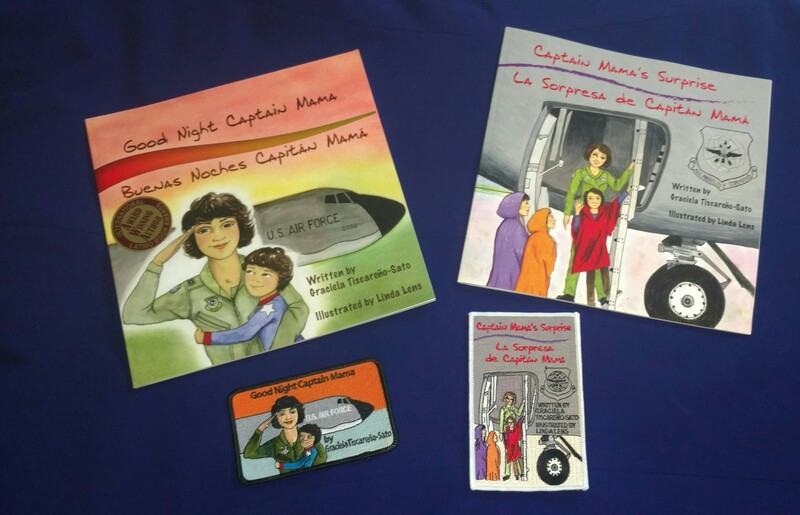 On the heels of four-time award-winning series debut title Good Night Captain Mama/ Buenas Noches Capitán Mamá, we are proud to announce the national availability of our second book in the series. 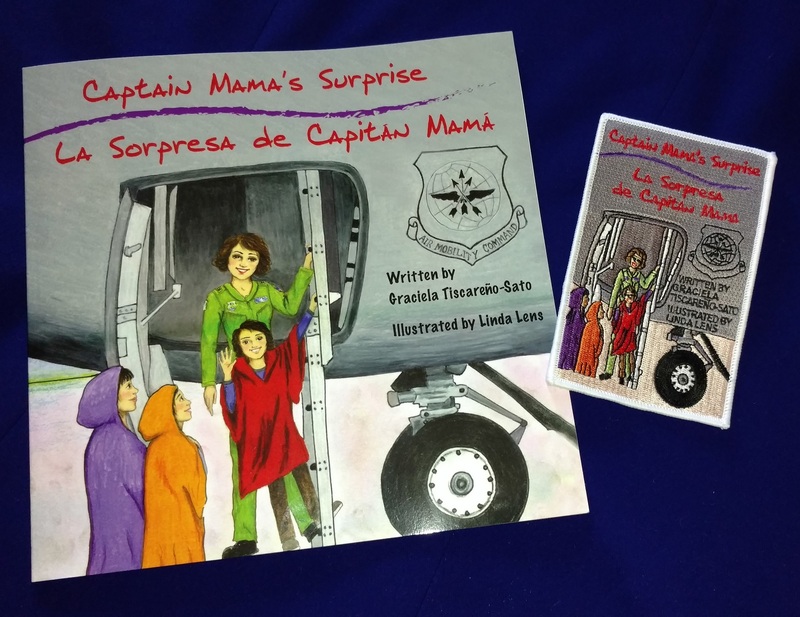 Captain Mama’s Surprise/ La Sorpresa de Capitán Mamá (ISBN: 978-0-9973090-0-3) is now shipping via our Gracefully Global publisher store HERE. It's also available in hardcover format via Amazon here. This book was named an award winner, 2016 International Latino Book Awards in the “Most Inspirational Children’s Picture Book” category! The author is a bilingual, highly-decorated military veteran and daughter of Mexican immigrants. Read Graciela's bio here. Better yet, bring the author into your classroom with a Virtual Author Visit package (recorded class, Spanish or English) plus books as seen HERE. We've created a beautiful military-style patch of the book's cover art, just like the patches on Captain Mama's flight suit! Order here. Take a peek at three interior illustrations here. Download the flyer here. If you want the book signed by the author and dedicated to a specific person, please let us know when you check out in the Instructions field. For those who prefer to order OFFline via U.S. Mail, please call (510) 542-9449 with your order. Please share this page with your networks! Thank you! 2) is NOT about food, animals or dead historical figures. Much of what's published in these languages is limited to those themes; so we're delivering altogether different stories to expand the world for kids and create globally-curious future citizens. Thank you for supporting our mission! "This gentle book reminds us that women served and will continue to serve their nation in military uniform. 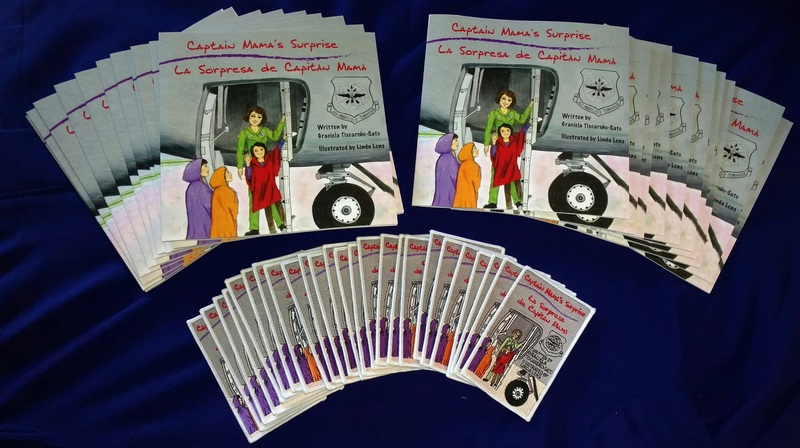 The Captain Mama story provides a wonderful role model for both little boys and girls. It’s a great read for families who manage the delicate stability of work and home."